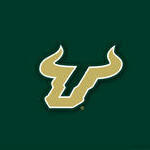 Does USF have any plans to sell a CBI Champions t-shirt? I know the CBI is the poor man's NIT, which is the poor man's NCAA Tournament, but it is still USF's first post season tournament championship for MBB. I would buy one, but I have yet to find one. Freaking awesome video. I needed that tonight ....Kiir's reaction on the sideline after DC's game winner in game #1 is priceless. Nothing in the bookstore in campus as of yesterday. Nobody is going to make CBI Championship shirts. Heck the team shirts didn't even have our logo on them. How many would the book store sell? 10? It was a nice season and hopefully a building block to better seasons to come. They keep the CBI shirts next to the AAC championship shirts at most stores. I actually own a Men's Golf Conference Championship T-shirt. I'd probably be one of those 10 who would buy a CBI championship one.